Polyester film PET, activated unilaterally or both sides inactivated. It has got excellent mechanical properties. Film of this type is also characterized by high gloss and very good transparency . Thanks to its structure and properties PET film is a highly good printing surface . 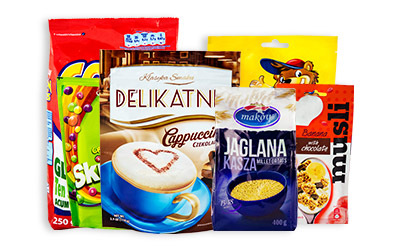 Moreover, it finds its application in the production of various types of thermo-formable packaging for perishable products, so as to extend their shelf life. They are commonly used in food industry.